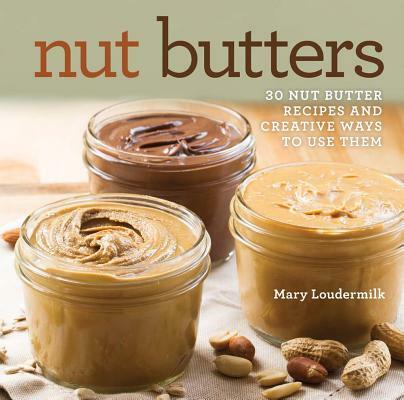 Sure, they're great on toast, but there's no limit to what nut butters can do Not only will this book give you the basics for several easy-to-make varieties, but it also introduces fresh and unusual flavor combinations--like chocolate bourbon hazelnut, bacon pistachio, and spicy macadamia. Each butter comes with delicious recipes, from chicken and shrimp to cookies, pancakes, and truffles. Nut Butters will spark your imagination and inspire you to create your own variations. Mary Loudermilk is the author and founder of the blog The Kitchen Paper, where she writes about a variety of recipes, with an emphasis on desserts and baked goods. She believes in real ingredients, recipes without shortcuts, and truly enjoying your food. When she isn't in the kitchen, she enjoys running marathons, yoga, cycling, surfing, cross-country skiing, and exploring the outdoors. Mary lives with her husband, Derek, in Bozeman, MT.